I set out this week to investigate why so many gifts in ‘The 12 Days of Christmas’ are birds. You know the song: there are swans a swimming, geese a laying, calling birds, French hens, turtle doves, and that partridge in the pear tree. Well, I never did find the answer. But what I did find was some interesting information about a native bird often incorrectly referred to as a partridge –a bird that is supremely well adapted to life in winter. Ruffed grouse resemble partridges in that they are ground-dwelling game birds of similar size and stature. Their name comes from a collar of long feathers surrounding the necks of males who fluff them out when seeking mates in spring. The birds come in two color phases, differentiated mainly by their tail feathers, which can be either gray or chestnut brown. While not well understood, a grouse’s color phase seems to be linked to climate. Grouse with gray tails are more prevalent in areas defined by cold winters, while brown grouse are more common in warmer climates. Now that snow is blanketing the landscape across much of their territory, the ruffed grouse is in its element. Harsh winters that adversely affect populations of other ground-dwelling game birds such as quail, pheasant, and turkeys, don’t seem to faze ruffed grouse. Their ability to survive is dictated by a number of special adaptations. The first is on their feet, where each winter nubby feathers called pectinations grow on the sides of the birds’ toes. Looking like strange combs, the bristles act as snowshoes, allowing the grouse to walk on top of even the softest snow. More special feathers grow on grouse legs like personal leg-warmers, and also near the bird’s beak, covering its nostrils. Scientists believe the feathered mustache enables grouse to breathe in warmer air than they otherwise would, thus keeping their internal temperature more stable. Changes in weather bring about some changes in behavior as well. Warmer months find the birds resting in evergreens or thick brush. But in winter, when a foot or more snow covers the ground, grouse roost in the snow. The birds create small burrows which hide them from predators, offer protection from frigid winter winds, and keep them surprisingly snug and warm. Many a backcountry skier or snowshoer has been startled by a hidden grouse bursting noisily from its snowy lair. The birds’ diet also changes seasonally from a summer sampling of green foliage, seeds, berries and insects, to the protein-rich dormant flower buds of trees such as aspen and birch. Grouse also won’t hesitate to eat the sweet flower buds of domestic trees like apples, and were at one time considered a pest in New England orchards. And so it’s actually not out of the question that within ruffed grouse territory, you might wake up one Christmas morning to find a ‘partridge’ in your pear tree. Speaking of birds and the holiday season, it’s nearly time for the Audubon Society’s annual Christmas Bird Count. Over the next few weeks, tens of thousands of volunteers around the country will join in this 113-year-old tradition, collecting data on the types and numbers of birds living in their area. This data allows scientists to monitor and track populations over time and space. Participants can be seasoned birders, first timers, or anything in-between. 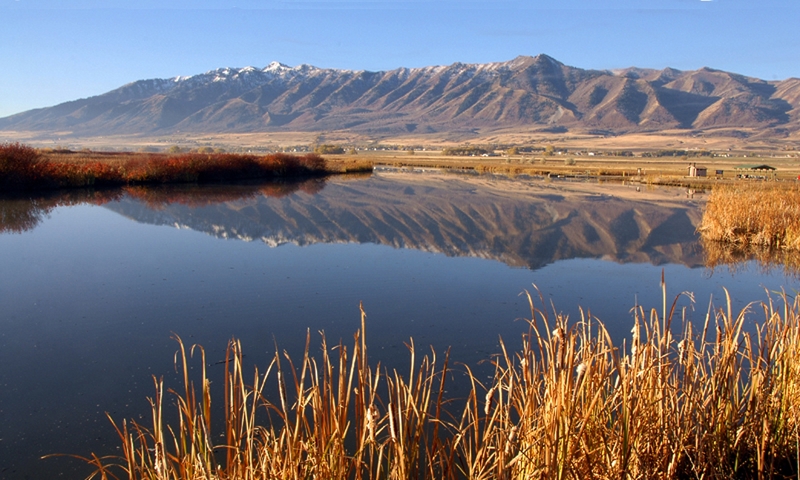 In Logan, Ogden, Salt Lake, and Zion National Park, the count takes place Saturday, December 20th. Other locations around the state will host their events between now and January 5th. To find a count near you, visit birds.audubon.org and click on Christmas Bird Count. 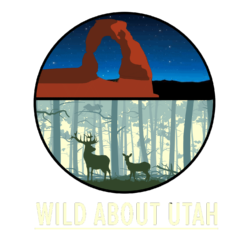 For the Stokes Nature Center and Wild About Utah, this is Andrea Liberatore. Stokes Nature Center in Logan Canyon. Furtman, Michael. 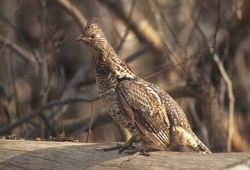 ( 1999) Ruffed Grouse: Woodland Drummer. Stackpole Books, Mechanicsburg, PA.